Borgen streaming: Hit Danish TV show like West Wing now available on iTunes. 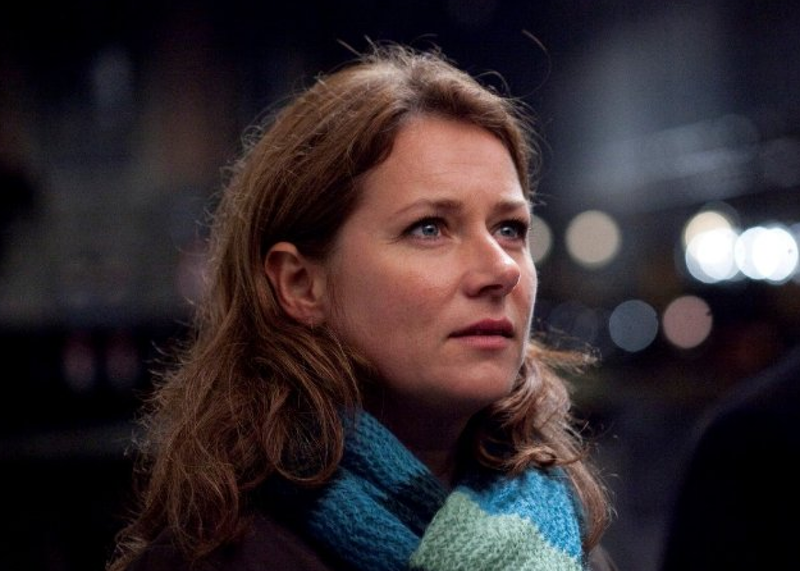 Sidse Babett Knudsen as Prime Minister Birgitte Nyborg in Borgen. The hit Danish political drama Borgen, often compared to The West Wing, topped many critics’ best-of lists in 2013, and is finally available in full in the U.S. thanks to iTunes just in time for your Labor Day binge. The show was available for awhile via Los Angeles’ KCET, but never all at once and never for on-demand streaming. Borgen, which means castle in Danish, is the nickname of the country’s parliamentary building. The show explores what it means to have power and manipulate influence, but instead of a ruthless leader like Francis Underwood in House of Cards, it follows the extraordinary Sidse Babett Knudsen as Birgitte Nyborg, the country’s first female prime minister. It has all the political savvy and liberal superiority of the Aaron Sorkin classic, but as Slate’s TV critic Willa Paskin wrote about the show—while naming it her favorite of 2013—it also has tinges of an “Eric and Tami Taylor–level good marriage” (that’s beloved couple Coach and Mrs. Coach in Friday Night Lights). Not to mention the scheming political fixers and their super smart erstwhile journalist girlfriends who would take Olivia Pope any day. As June Thomas noted in her Slate post also praising the show, it’s almost perfectly plotted, “with enough twists and turns to be surprising, but never so many that they become tiresome.” It’s also a nice peek into Danish life, where politicians bike to work and vicars wear Hamlet-like neck ruffles. The Danish show seems to take all the best parts of some of the U.S.’s greatest shows and combine them into the Platonic ideal of a political drama. There are only three seasons, or 30 episodes—just enough for you to spend the last days of summer pretending you’re in a far-off country instead of on your couch. Don’t believe me (or the other critics who are obsessed with the show)? Try it for yourself at no cost—the pilot is streaming for free.